A few days ago we ran a post about the Tsalala Pride taking down a buffalo in the Sand River near camp. Three mornings after the kill, ranger Dean Smithyman and myself decided to take our guests to see if any feeding activity was still taking place. To our disappointment, the pride had moved off during the night, but we enjoyed spending some time watching a wake of vultures, their patience finally rewarded, squabbling over the remains. The three older lionesses of the Tsalala Pride cross Sasekile Ingwe Clearing while the older Tailless’ cub scampers to keep up. 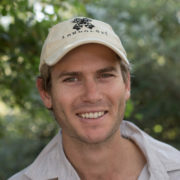 Trackers Elmon Mhlongo and Mike Sithole soon found tracks of the lions heading west along the North bank of the river, and it wasn’t long before we spotted the older tailless lioness and her cub in the distance, lazing about in the shade of a Jacket Plum. Sitting watching the two lions, Dean suddenly cried “Look!’, and as all eyes turned, we were greeted by the sight of the remaining two Tsalala females, followed by all four of the Majingilane coalition slowly walking in our direction through the clearing. A determined cub is steadfastly ignored by its mother on the Granite rocks of the Sand River. After a brief greeting between the Hip-Scarred male and the older Tailless female, all the lionesses began heading east, back in the direction of the Buffalo carcass, while the Majingilane followed at a distance. We hurried round ahead of the lions, arriving back at the kill just as Hip-Scar had finished scattering the vultures. One-by-one the procession arrived. Hip-scar was there already. The Scar-nosed male came next, followed by Dark-Mane and then the lionesses and cub. Last on the scene was the Blonde-maned male, whose disappointment was evident at finding an entirely consumed buffalo carcass with barely a morsel left to scavenge. The younger tailless lioness snatches a quick drink from a pool of rainwater while her mother and cub walk by. While the Tsalala females left the scene, heading North to the Manyelethi River, the males lingered, reluctant to accept that today there was to be no free meal. The Majingilane Coalition assemble around the remains of the Buffalo carcass while the Tailless female shrugs off her cub’s attempts to play. The Dark Maned male paws with evident disappointment at the skin and bones that represent a missed feast for him and his brothers. The coalition re-gather as the Dark Maned male stares after the Tsalala females, who by this time were making their way North out of the Sand River towards the Manyelethi. They were to give us one last treat however, lining up for a wonderful photo opportunity in front of Varty Camp, before following the scent-trail of the females over the hill to the dry riverbed. A very rare shot of all four Majingilanes together, made even more special by having the main deck of Varty Camp looming large in the background, on the Southern bank of the Sand River. Seeing lions on any day is special enough, even when they are sleeping, which they do a lot!. 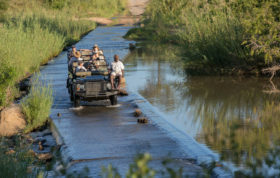 To have all four Majingilane interacting with one of Londolozi’s iconic prides, crossing clearings, rocks, and providing as perfect lion viewing as it is possible to have, certainly made that morning one to remember. Love it how the lions and lionesses march in a straight line. Wonderful to see the 4 majingilanes together. Great photos James! 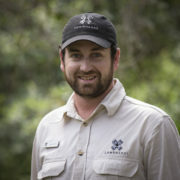 :0) Hope all is well in Londolozi. That cub needs some playmates. Thank you for the great photos and the updates. Excellent! 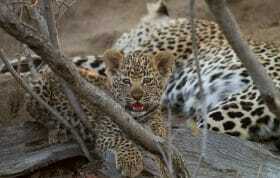 Love the pic of mom snarling at baby. How comical. This is abosulutely wonderful. Thank you. Do the sub-adult lionessess not show up when their fathers are around? A good question. A number of times in the last few weeks we have had sightings of the Tsalala pride accompanied by some of the Majingilane, and the sub-adults are consistently absent. I am not sure why this would be so, although we have witnessed aggression between the Scar-nosed male and the two youngsters before. That is a good question.I just hope we could get to know the answer on why the sub-adults are rarely seen around when the male lions are around.If they were sub-adult males i would have thought because of their nearing to maturity and competition for food the male lions would view them as a threat,but these are females so what could be the problem! I wonder about the two sub-adults not being there, do they wander off at times or a bit timid around their “Dads”? Thank you, great shots…love the lions! I was happy to see a very rare shot of all four Majingilanes together.I can now see they are maturing more and more with especially the first two males in the picture with darker manes.They are now resembling the mapogos which had huge manes apart from Mr.T.They are now getting into their prime. wow!! what a live sighting must be from the lodge…incredible indeed.